Steph competed in a tournament at Shoreline Community College in Seattle last Saturday. Since she just got back into the sport, Master Kim wanted her to watch sparring before participating in it. At the black belt level, they use Olympic scoring: 1 point for a kick to the body and three points for a kick to the head. Consequently, there's a lot of attempted head kicking going on. Yikes! 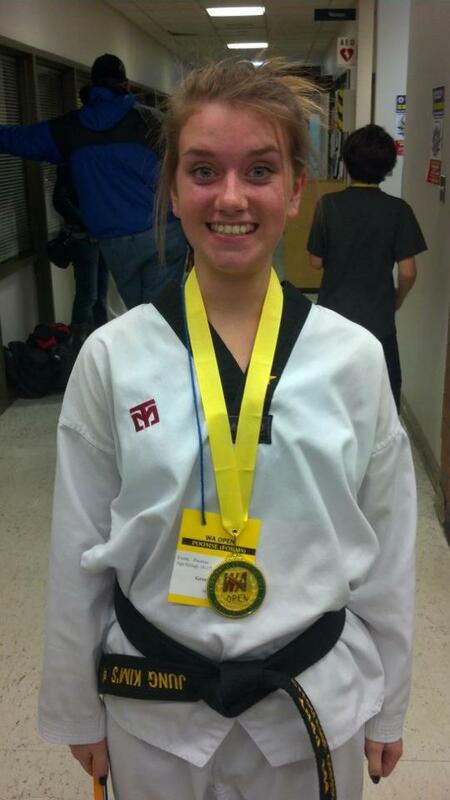 Steph competed in her poomse, consisting of a set of kicks, punches, and blocks. Her scores were 9.8, 9.9, and 9.8 and got first place in her category.